Stussy and Nike continue their long-standing relationship with this all new Stussy inspired edition of the Nike All-Court Mid. Kings of the "Street Culture" Stussy is at it again with Nike. Pushing the envelope yet again, Stussy's latest collaboration with Nike arrives in the form of the All Court Mid, a shoe we're more familar with in it's lowtop form. Altough it is the All-Court Mid, many will be quick to draw comparisons to the popular Supreme x Nike SB Blazer, which also made use of snakeskin and and all leather build. Black leather is seen working most of the upper, along with minimal hits of royal blue taking place on the upper eyelets. 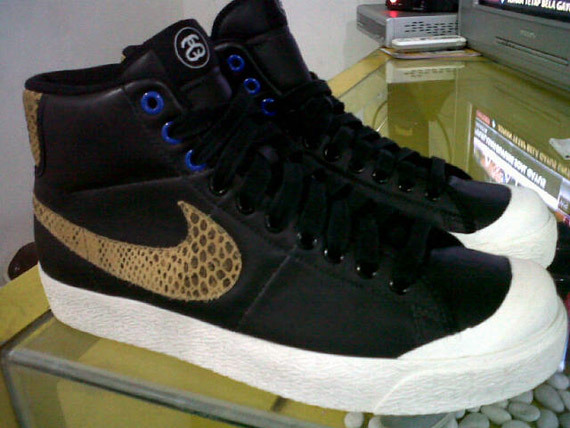 Golden snakeskin is seen covering the Swoosh and back tab, which also features Nike branding in the form of Stussy's famous font style. 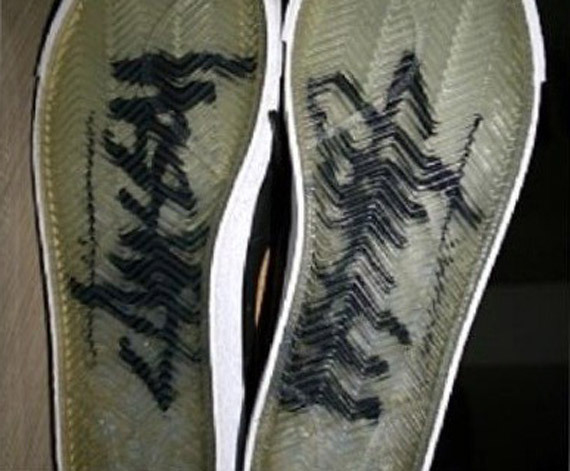 Stussy branding is also seen on the tongue tag, along with a white vulcanized sole below. Additionally, a look at the translucent outsole reveals classic Stussy branding. A release date has yet to be confirmed for the Stussy x Nike All Court Mid. Keep it locked to Sole Collector as we'll be sure to update you with the latest on an official release.